I've always wanted to see this connection between Greenpoint and Hunter's Point reestablished. The article mentions the Vernon Avenue Bridge (see below), which was constructed in 1905. 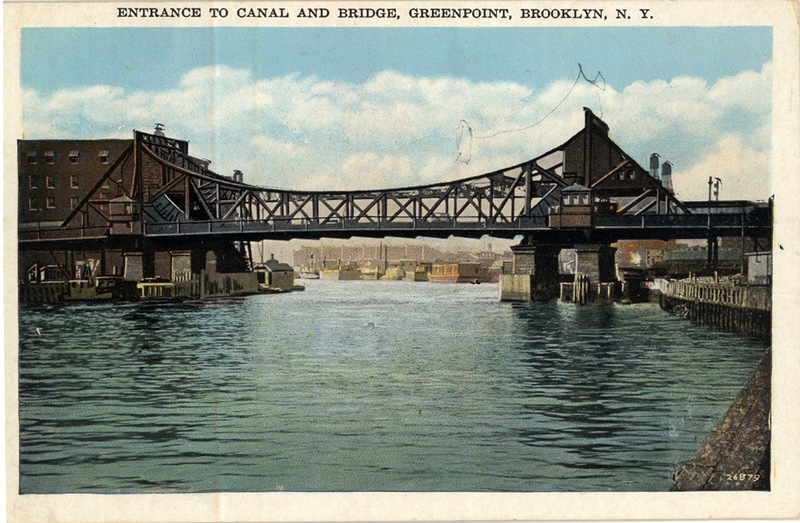 But a bridge connecting Manhattan Avenue to Vernon Avenue was in place at least as far back as the mid-1850s, when Greenpoint and Hunter's Point were being developed. Eliphalet Nott was involved in the development of both neighborhoods, which is apparent looking at the very similar building stock in both areas.